Lighting is something that makes Christmas celebrations complete. With lights used on houses, trees, backyards, furniture etc., it is clear that they are an essential Christmas decoration. If you are extra-crazy about Christmas light decorations, these Christmas tree lights are absolutely the thing for you! 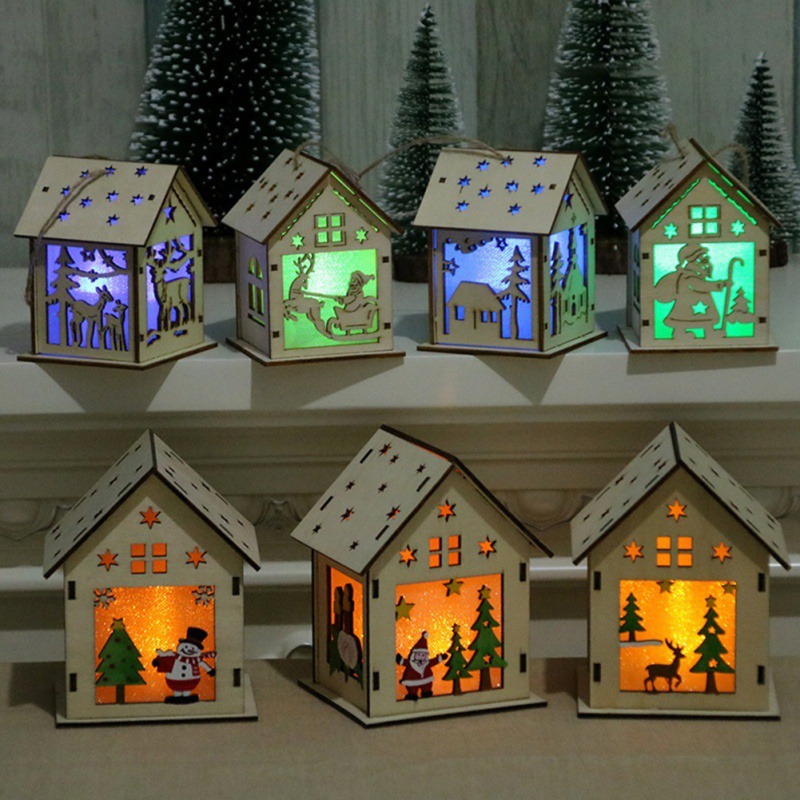 These Christmas house lights have been made out of wooden house structures that have been carved beautifully to reflect the holiday theme. Equipped with Christmas-themed props and an LED bulb inside them, these hanging lights are the perfect items for your Christmas home decor.